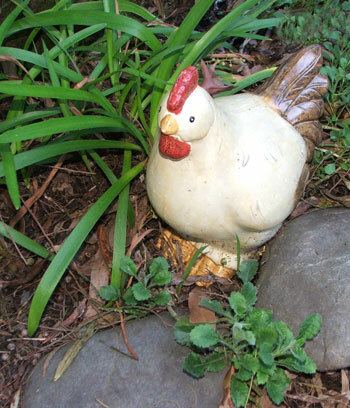 Good (and serious) gardeners are allowed a few quirky things in the garden, to bring a few giggles. 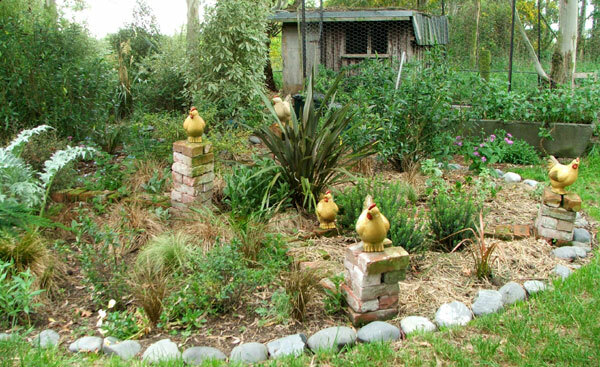 Henworld is my personal quirky garden space - a circular garden designed as a 'playground' for my hens. I laid out bricks in the shape of a big letter 'H', with brick towers for hen statues. Wooden perches ran between the towers. 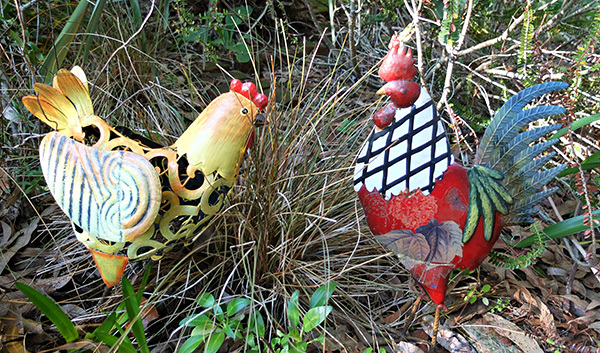 In the garden compartments of the big 'H' I planted hebes, patches of silver beet and other hen-pecking delights. A living playground for my hens - well, that was the general giggly idea. Alas - the fatal flaw. Hens don't play. Hey - I guess I knew that! But just sometimes, having an excuse to be silly makes the silliness so much more enjoyable. Henworld is right next to my proper Hen House and chicken run. A miniature piece of theme-park paradise for the Moosey poultry - except they're not allowed in, because rooster is too pecky, the grey striped hens too scratchy, and the black hens poop all over the paths. Sad reality. 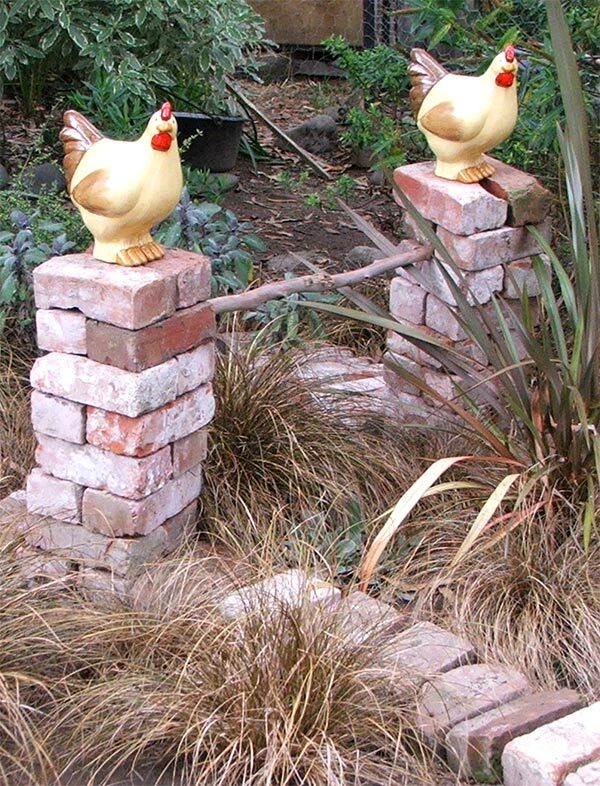 Several years after I constructed Henworld, sadly I lost my real hens and rooster. In 2010 the local earthquake damaged several of the unreal ones. Slowly, slowly I'm gathering up replacements. Unreal ones, that is - like these two below.